Private and gated Mediterranean estate on over a ½ acre flat lot measuring 6413 sq.ft. of living space in prime Woodland Hills. Built in 2014, this custom newer construction estate offers quality construction and fine finishes throughout, and features a wonderful open floor plan with great space for entertaining indoor/outdoor. The grand entry foyer has soaring high ceilings, an elegant chandelier and wrought iron staircase leading up to the bedrooms. There are 5 en-suite bedrooms (4 up and 1 down) + 5.5 bathrooms. 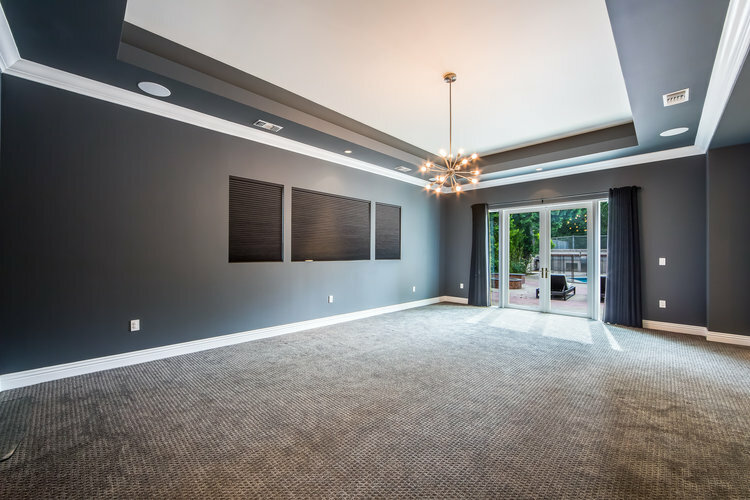 The open floor plan flows from the formal living room to the formal dining room & wine room. The kitchen is a chef’s delight with stainless steel Vikings appliances, expansive pantry with built ins, large center island and custom cabinetry. The backyard allows additional space for entertaining with an expansive outdoor living. 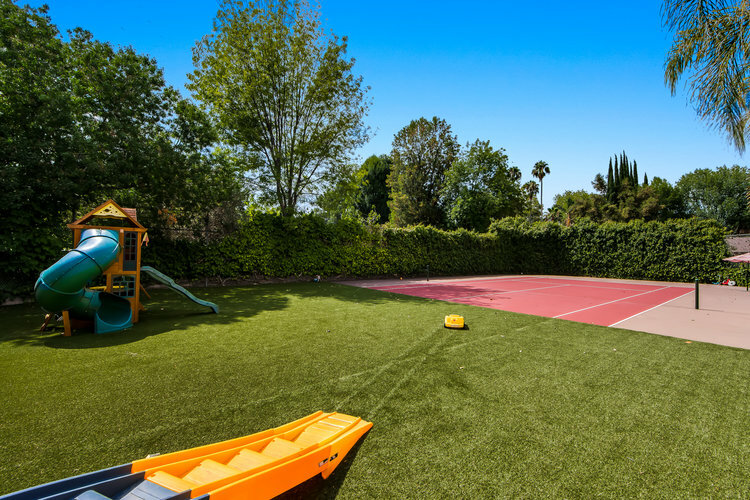 Fully equipped with an outdoor BBQ station, gas fire pit with seating, large swimming pool, full size fenced tennis court, and a 4 car garage.